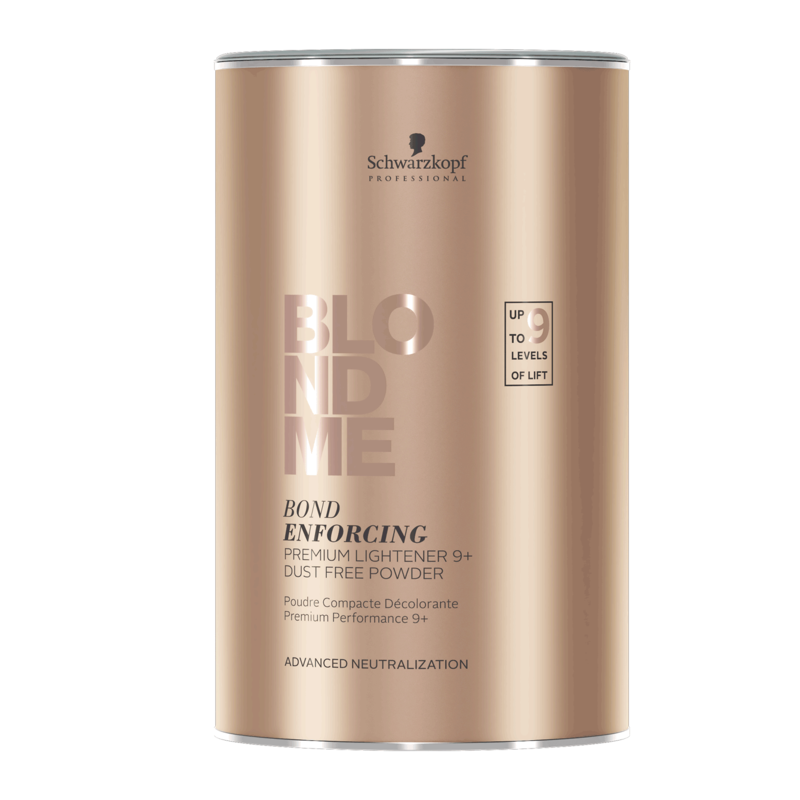 Blondme Bond Enforcing Premium Lightener 9+ is a high performance powder lightener for up to 9 levels of lift. "I think that this can be a really aggressive bleach so even though there is bond protector in the formula I still use an additional bond protector. I love the consistency and lightening power with balayage applications!!!" "tried stepping outside my box from using matrix's lightmaster to this, used it for about a month and didn't see anything great about it. Maybe i'm just used to what I've always used, but i didn't nearly get the amount of lift desired, and no matter how saturated the hair it always lifted very uneven for me. Overall, making the switch back to what i know. A Little disappointed." "This lightener never fails me! I've been a loyal Schwarzkopf user for almost 10 years and their products never disappoint me! This leaves the hair feeling amazing and shiny!" "Never have breakage. Never put my bleach under heat. Lifts the best of any lightener I’ve used in over 15 yrs. I just did an 8 hr project. 2 applications of bleach. No Olaplex or b3 and her hair felt amazing afterwards." "I've done hair for 26 years. I'm also a blonde via bleach and this product works very quickly with no damage whatsoever on anyone I've used it on. Leaves hair feeling softer than before highlighting or even all over bleaching. For people that tend to pull gold like I do, this has been my saving grace without having to use any violet additives. not even a toner 99% of the time. I will continue to praise this lightener as I've tried a few of the newer products since then who claim to be better...but just aren't." "Pulled EXTREMELY bright yellow on natural level 1-2 but did lift the previously lightened hair from a different line really nice"
"Awesome lightener. Lifts great and keeps hair breakage to minimal."